The Supreme Court on Friday threatened to send the former promoters of Fortis Healthcare, Malvinder Mohan Singh and Shivinder Mohan Singh, to jail if it was established that they had violated the orders of the court by selling assets of the company. The apex court, while expressing dissatisfaction over the replies filed by the two brothers on how they planned to pay the more than Rs 3,500-crore dues to Daiichi Sankyo, said it would directly hear the contempt petition moved against them on April 11. “You may be owning half of the world but you cannot satisfy your creditors by simply telling them you own half of the world. There is no concrete plan as to how the arbitral amount would be realised. You said somebody owed you Rs 6,000 crore. But this is neither here nor there. Tell us the value of your assets and how the award will be secured,” a three-judge Bench, led by Chief Justice of India (CJI) Justice Ranjan Gogoi, said. The Bench had on March 14 asked the Singh brothers to consult their financial and legal advisors and give a concrete plan on how they planned to comply with the decree against them that requires them to pay Rs 3,500 crore to the Japanese firm. It had also asked them to be present in person in the courtroom. During the hearing on Friday, the elder sibling, Malvinder Mohan Singh, detailed a list of land and other assets that the RHC group had. In his submissions before the court, Singh said the group had assets worth Rs 6,300 crore, majority of which was lying with a spiritual leader, which they had not been able to recover. Singh also tried to get the court to intervene to recover the money, arguing that the top court’s intervention would hasten payment to Daiichi. The request was, however, turned down by the court, which said who owed money to whom was not its problem. “We are not here to solve your problems. We are here to help you satisfy creditor dues,” the Bench said. Other than these, the group, Singh claimed, had ownership in other companies and real estate assets, which could be sold to pay the dues. He, however, did not provide any details of where these assets were. Shivinder Mohan Singh, on the other hand, submitted that he had assessed the value of assets held by him and it had come to around Rs 900 crore, which could be sold to satisfy part of Daiichi Sankyo’s decree. Apart from that, the younger sibling said, he had another plan in which he sought a time of two years from the court. During this period, Shivinder said, he would work with Daiichi Sankyo and others and enhance the value of the assets from Rs 900 crore now to Rs 2000 crore, which could then be sold. Acknowledging that the value of the RHC group had depleted severely over the past few years, Shivinder said most of this value degradation happened during the time he had relinquished the world to undertake a spiritual journey and left the company’s control to his elder brother. The two brothers, who were present in court on Friday, have been asked to be present in the court again on April 11. On Friday, the top court also stayed insolvency proceedings against the RHC group and its garnishee companies. The order came on a submission by Daiichi Sankyo that if insolvency against these companies started, a moratorium would come in place, which would then make it difficult to recover the award owed to them. The insolvency petition has been moved against a cluster of 19 companies that are allegedly linked to the Singh brothers. The companies, Religare Finvest had said in its petition, were used to siphon off loans taken by the two brothers when they were in control of the firm. The apex court is hearing a batch of petitions filed by Daiichi Sankyo, which include a challenge to the sale of Fortis Healthcare’s stake to IHH Berhard Malaysia. The top court, on December 14 last year, had ordered status quo with regard to the sale of controlling stakes of Fortis Healthcare. In July, the board of Fortis had approved IHH’s plan to invest Rs 4,000 crore by way of preferential allotment for a 31.1 per cent stake. Other than that, the top court is also hearing a contempt petition moved by Daiichi in which it has alleged that the Singh brothers sold their stake in Fortis despite clear orders from the court against it. 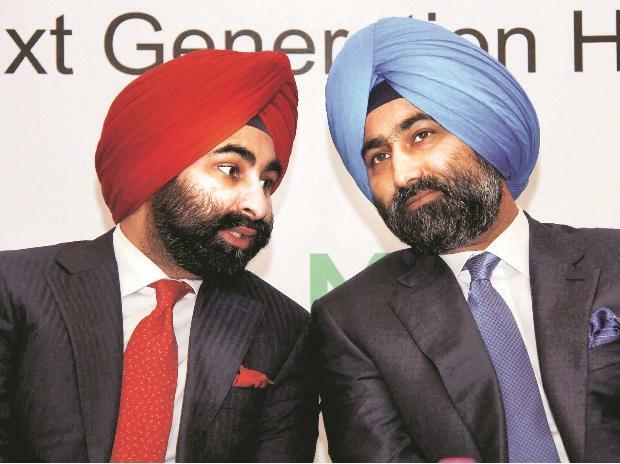 The Japanese drug major has been fighting a prolonged legal battle with the Singh brothers to get its Rs 3,500-crore arbitration award, based on the judgment by a tribunal. A tribunal in Singapore had held the Singh brothers guilty of lying and concealing information when they had sold their stake in Ranbaxy Laboratories to Daiichi Sankyo in 2008. The tribunal had held that the brothers had, while selling their stake in Ranbaxy to Daiichi in 2008, hidden information regarding a probe the company was facing from the US Food and Drug Administration and the Department of Justice. To resolve the potential civil and criminal liability that could have arisen due to the suit by both the US agencies, Daiichi had agreed to pay $500 million as part of the settlement agreement. Daiichi had later sold its stake in Ranbaxy to Sun Pharmaceutical Industries in 2015 for a sum of Rs 22,679 crore.